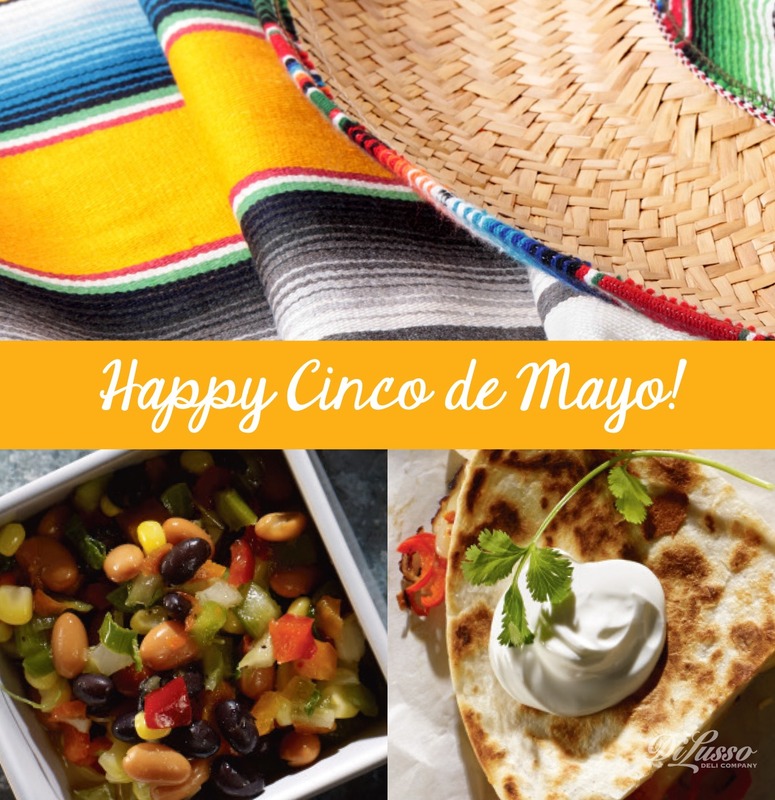 Not that anyone needs a reason to enjoy a fiesta filled with zesty food, lively music, and nonstop salsa dancing, but with the Mexican celebration of Cinco de Mayo right around the corner, you have one great excuse for a party! And any party is a great excuse to make great food with DI LUSSO® meats and cheeses. We love our Mexican Torta, an incredible Mexican-inspired sandwich. Start with bolillo rolls (an authentically Mexican bread) or similar crusty roll, and layer warmed refried beans, our Seasoned Roast Beef and Pepper Jack cheese. Add a little avocado, tomato, and red onion, plus a sprig of fresh cilantro. The warm refried beans make the cheese perfectly melty, and with a squeeze of fresh lime juice, this sandwich is unbelievably delicious. 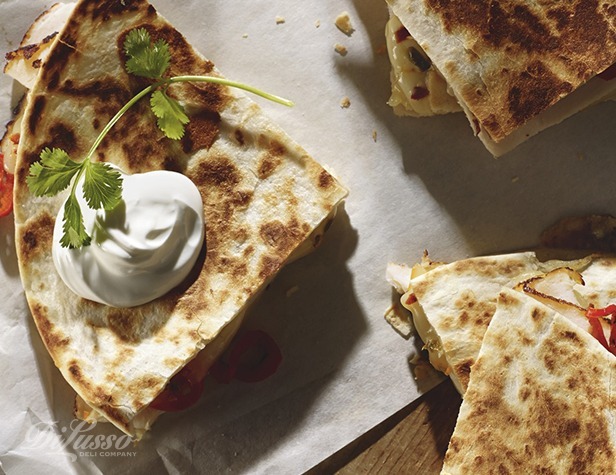 Chicken and Habenero Jack Quesadillas are a quick, festive favorite, with a zesty kick that makes the tongue cheer for the cooling creaminess of a sour cream garnish. Here’s another fun one: Green Chile Chicken Bites. They make a can’t-get-enough appetizer, or when served with a green salad and Mexican Grilled Corn (see below), they are a meal in themselves. This recipe makes 2 dozen. Cut 6 flour tortillas into 4 equal wedges. Press each wedge into a lightly greased mini muffin cup. Toast tortillas in the oven at 350° for 5 minutes. In large bowl, combine 1-1/2 cups chopped Oven Roasted Chicken Breast, ¾ cup chopped Colby Jack cheese, 1 (15-ounce) can black beans, drained and rinsed, 2 (4-ounce) cans green chiles, ½ onion, chopped and sautéed, 3 ounce softened cream cheese, and ½ cup sour cream. Add ½ teaspoon cumin, salt and pepper to taste, and mix thoroughly until all ingredients are evenly distributed. Spoon mixture evenly into each tortilla. Top with additional Colby jack cheese. Cover pan with foil and bake in a preheated 350°F oven, about 10 minutes. Remove foil and continue baking another 15 minutes or until heated through and golden brown. Serve with fresh lime wedges, cilantro, chopped green onions, salsa verde and/or pico de gallo and avocado slices. Mexican Grilled Corn (Elotes)—yum. If you’re a corn on the cob fan, wait until you taste it made this way! First, shuck the corn, but don’t pull the husks off all the way—leave them on to become easy-to-hold handles. 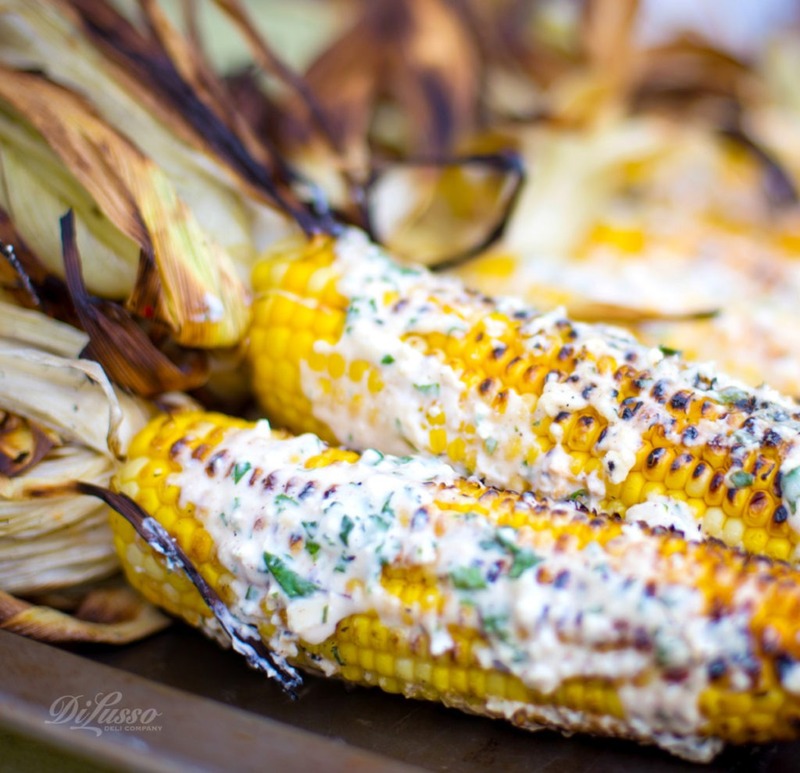 Grill the corn until the kernels start to char, turning to cook evenly on all sides. Have a mixture of mayonnaise, chopped fresh cilantro, lime juice and fresh ground black pepper ready. Spoon this mixture over each ear of corn (or roll the corn in it). Serve immediately. If all this is making you hungry, you’re probably getting thirsty, too. We recommend traditional margaritas, ice-cold Mexican beer and agua fresca—a combination of water, sugar, fresh lime juice and fresh fruit blended together. Try cantaloupe, watermelon and strawberry, or whatever fruit you have a hankering for.